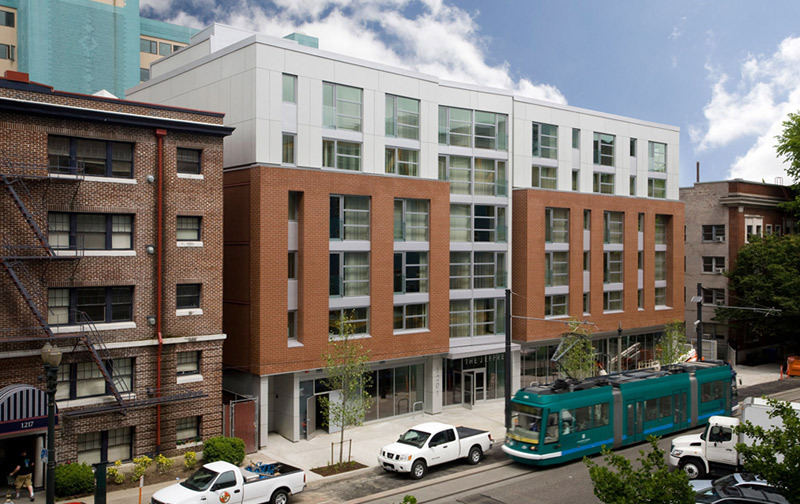 Newly constructed in 2008, The Jeffrey is a modern, LEED Gold certified, mixed-use development with 80 apartments and street-front commercial space in the heart of downtown Portland’s West End. Although it is new construction, The Jeffrey is considered a preservation project, serving as replacement housing for the former Jefferson West Apartments formerly located around the corner from this site. Twenty-five of the units are funded with case management services, meeting the City of Portland’s permanent supportive housing goals to address homelessness. These units are managed by Outside In, Cascadia, NW Pilot Project and Central City Concern. 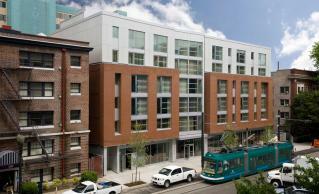 Cascadia provides resident service coordination for the entire building. 20 units with public housing subsidy.